Are you scared of your own credit report? While the exact ways with which credit scores are calculated are company secrets, there are things you can do to improve your score. Read on and find out! Our credit scores determine if we can get something as big as a mortgage for a home to something as small as a new computer. While we have no way to find out the exact formulas used by particular banks or lending institutions to compute our scores, there are some standard facts and myths about what will affect our credit scores. 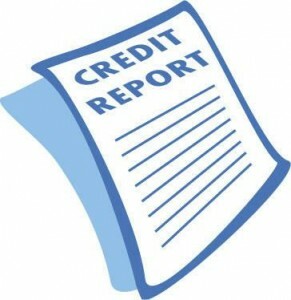 Myths about your credit report - Relax, a credit report is not some Big Brother accounting of your life. Anything not related to credit is not in the report. This includes your savings account, personal information such as race, religion or your medical history, and information on other people you're associated with, provided you don't have any joint financial products. Employers or potential employers have no access to your report without your written consent. Other things not on your report are whether you've checked your file and if you've had declined applications (only the number of credit inquiries you've had). What they look at - Here is an approximation of how a credit score is determined. Payment history accounts for 35% of your score. The lender will want to see if you have a stable record of paying your bills punctually. Also included is how much debt you have at the time of inquiry (30%). 15% of your score goes towards how long you've had established credit; the longer you've had it, the better. 10% is based on new credit. Opening new credit within six months of the credit inquiry is bad for your score. Hard inquiries or inquiries made by lenders also pull down your score. On the other hand, soft inquiries, which include you checking your own report, have no effect. It will also improve your credit score if the lenders see that you have and have had experience with several different types of credit (10% of score). What helps and what hurts - Improve your credit score by regularly reviewing and correcting errors on your credit report. You're entitled to and should avail of one free annual report from each of the credit reporting agencies annually (Equifax, Experian and TransUnion) so you can better monitor your credit score. Keep your oldest credit accounts even if you're not using them. However, remember that more than four or six credit cards can hurt your score. Additionally, always keep the balance of your cards to 25% or less of the limit and pay your bills on time! If you can't pay in full, you should at least pay the minimum. Regulate the ratio of your debt in relation to your annual income to less than 20%. Any more than this and lenders may not give you the best rates on loans. Keep hard inquiries to a minimum. Generally, the more hard inquiries you have, the lower your score because lenders may mistake this for you being financially strapped. This flags you as a high credit risk. However, when shopping for a loan, multiple inquiries which occur within 14 will count as a single inquiry so do your loan shopping within a 2-week period so as not to adversely affect your score. If you are ready to buy property, don't make any other major purchases or pay off credit cards unless recommended by your lender. Sometimes something that seems like a good idea may actually do you more harm than good. Questions About Credit Management 101? Call Jenny Durling 213-215-4758 or fill out the LA Property Solutions contact form below.